Cusco is situated about 11200 feet/3400 meters above see level. When you are at such high altitude the air tends to be thinner and you will find yourself gasping for air at times even when you are not over exerting yourself physically. It doesn't take much to feel out of breath and you can get this throbbing headache that seems to go on forever! on top of this you may feel dizzy or nauseous so if you combine all these effects, you can end up feeling pretty sick like I did. My first day in Cusco I was feeling just fine during the day, I walked all over the place and I thought since I had lived in Quito which is also situated at a high altitude, I would be fine. Granted, Quito isn't as high as Cusco but still, I thought it gave me an advantage in terms of adjusting to a higher altitude. At night when I was in bed watching videos on my laptop, I started feeling really drowsy so I assumed I was just tired and decided to shut off my computer and go to sleep. Before falling asleep I had to go to the bathroom but when I tried to get up I felt so dizzy that I fell back on the bed. At first I was so confused I didn't know what was going on so I tried to get up again but it took effort, I managed to reach the door to my room but I was attacked by another bout of dizziness and I fell down to the floor, as I was struggling to get back up my body started jerking uncontrollably and before I knew it I had peed myself. I have never been in a situation where I felt so helpless, it's like I could not control my body at all and I felt so disoriented. I somehow managed to reach the bathroom where I collapsed on the floor and just lay there. Don't ask me how I managed to crawl back to my room but at some point I woke up after what seemed like eternity and found myself on the floor. I took off all my clothes because they were soiled and somehow managed to clean myself up before getting back on my bed. I was so scared and I thought I was dying (no, I did not see my whole life flash past me), I was drifting between consciousness and unconsciousness. To make matters worse I had a massive headache that felt like my head was about to explode and I was feeling so nauseous I thought I would throw up. Drink a lot of water because in high altitudes you get dehydrated very fast and sometimes you may not even realize it until you start getting certain symptoms like nausea or a throbbing headache. Take altitude sickness pills if you have any but for some of us who prefer natural remedies, drink tea from coca leaves. Yes, these are the same leaves that are used to prepare cocaine but don't worry they are pretty safe but you could test positive for cocaine if you take a drug test (not comforting right?). This is what I have been drinking religiously to ward off altitude sickness and it has helped me a lot! These is how the leaves look like and you can find them at any mercado around here. Take it easy! your body needs time to adjust so don't over exert yourself. When walking and you feel dizzy, stop and rest. Cuzco has some streets that are pretty steep so you will be huffing and puffing before you start feeling a slight throbbing headache coming on, take it easy and relax. I am not a big drinker and I don't smoke but I have been told to try and avoid alcohol and cigarettes until my body adjusts to the altitude. That's it folks, I am feeling much better now but dang! that altitude sickness is no joke! I am drinking as much water as I can and I make sure to have my coca tea in the evening before bed. There are many tourists in Cuzco and the locals are used to it so you don't feel like you stand out too much. There are also a lot of hippies and artsy looking dudes in this town and let's just say a lot of these South American hippies are drawn to me for some reason. I can not tell you the number of times I have been stopped on the street and asked out on a date. This guy stopped me yesterday and asked me if I want to go out on a date with him and check out some reggae clubs.....hmmm? maybe it is my hair and they think I am Rastafarian and cool, I don 't know. In Lima my friend Amber and I were mistaken for Jamaican because of our hair. Speaking of hair I have gotten so many compliments on my hair here in Cusco, one of my Spanish teacher is always touching it and saying how beautiful it is. I really don't mind it. I am not going to sugar coat this but Cusco is rough around the edges, forget that rustic charm that people romanticize. I will be totally fine with the modern comforts of a big city thank you very much! do I sound spoilt? Did I mention how cold it gets at night? and there is no such thing as central heating so I have been using this gas heater that I had to rent. 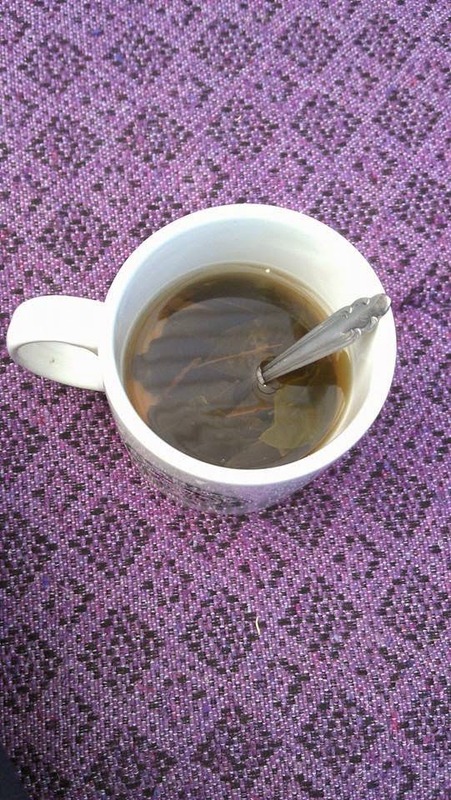 Coca tea really relaxes you and I try to take it only in the evening when I am going to bed otherwise if I take it during the day I feel drowsy. Pole sana that must have been really scary! Glad you are feeling better. I am with you on modern comforts of a big city lol I am such a city girl. Note to self to stick to water and the high altitude pills no coca leaves for me. Please find out how long the coca tea stays in your system like if you happen to get tested a month after drinking the coca tea will the test turn out positive? Thanks Lydz! feeling much better now. From what I have read online they advice you to avoid chewing the coca leaves or taking tea with the leaves a few weeks before taking any drug tests. Not sure how many weeks though. Coca leaves here in Peru are legal and people chew them for altitude sickness or extra energy but of course different countries have different rules so you have to keep that in mind.